Stuck in an older home with outdated and aging bathroom fixtures? 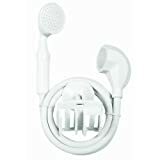 The Slip on Portable Shower from Holmz-Selfix is the perfect way to take a refreshing hot shower when it wouldn't be possible otherwise. 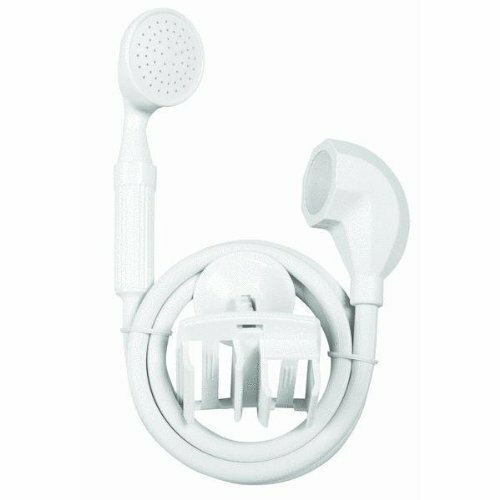 The locking lip rubber adapter slips over your tub faucet and diverts the water into the vinyl hose and out the shower head. The wall bracket holds the head in place and attaches to any smooth surface with the heavy duty suction cup. Will not work on faucets with a shower pull pin.